I know… you don’t like kale and there’s way too much press for this green leaf. But here’s the thing: kale is one of the most nutrient dense foods out there. “So what?” you ask. Think, anti-cancer, anti-inflammatory, happier gut, better digestion, stronger bones, lower cholesterol levels, full body detox…. There are many reasons you might want to wrap your arms around this little plant and at least give a fair shake. 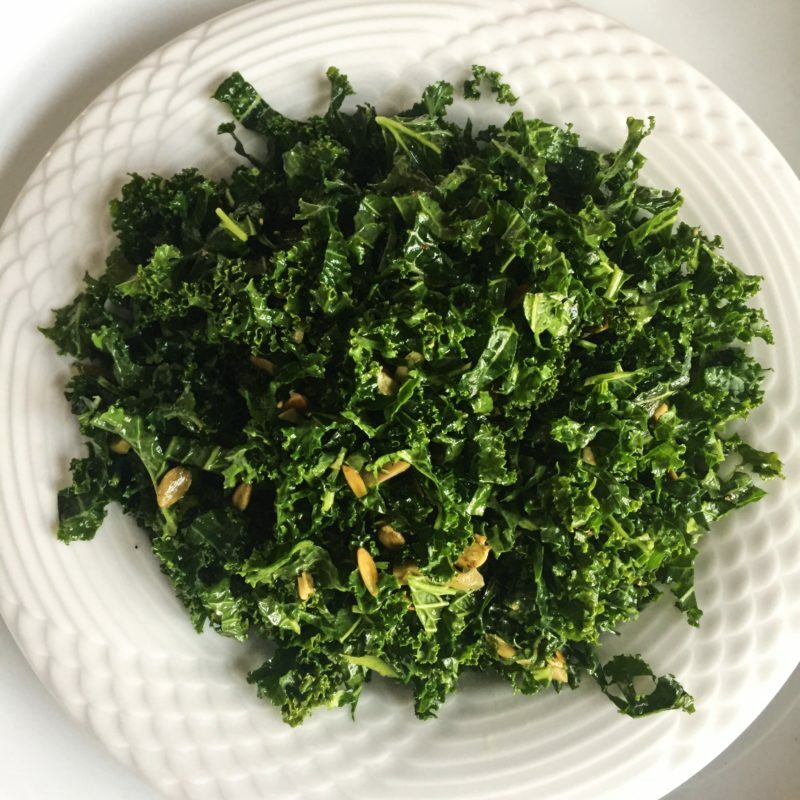 If you thought kale was bitter, this recipe might change your mind. Adding a squeeze of lemon to any bitter greens, tames them nicely. Plus you’ll be chopping your kale into a very find slaw and massaging the greens which does something magical to them. Wash the kale in a basin of water to remove any grit. Spin dry or wrap in paper towel to remove any excess water. Chop the kale into a fine slaw. Squeeze the juice of the lemon on the kale – add as much as you like to suit your taste. Toss in enough olive oil just to coat, add salt and pepper and massage everything together. Top with cheese or seeds and serve. Let me know how it goes! Post your thoughts below.